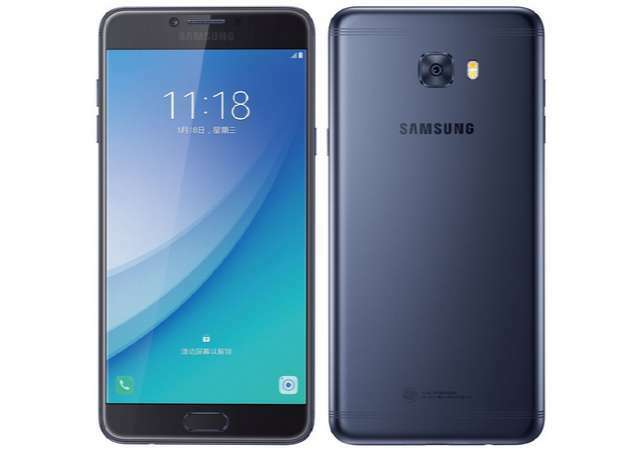 Samsung has officially announced Galaxy C7 Pro in China today, a more powerful and upgraded variant of Galaxy C7 that was launched last year. Most of the specs including display, RAM, rear camera, and battery capacity remains the same, the processor however has been up from Snapdragon 625 to Snapdragon 626 and the front camera from 8MP to 16MP. The Galaxy C7 Pro is wrapped in a sleek metal unibody that is 7.00mm thick and weighs 172 grams. It features a 5.7-inch full-HD display; sports a fingerprint scanner on top of the home button, and is backed by a 3300mAh battery that can be quickly fill up with Qualcomm Quick Charge 3.0 onboard. It also supports hybrid dual SIM. The new Galaxy phone wears a price tag of CNY 2799 (US$405). There is no word on its availability yet but it is expected to go on pre-orders soon in China.